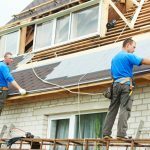 When Is It Time for a Commercial Roof Replacement? When’s the last time your had a commercial roof replacement? Has it ever had one? The answer depends largely on what your roof is made of. A concrete roof should never need replacing. Tile roofs can last upwards of 100 years, although individual tiles may need to be replaced. Most roofs, though, are made of shingles. The average shingle roof will last between 20 30 years. If your roof is older than that, it probably needs some attention. 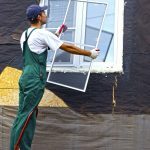 How do you know if it’s time for a commercial roof replacement? 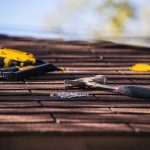 A free roof inspection is a good place to start. 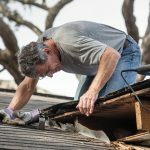 Experts recommend inspecting your roof once in the spring, once in the autumn, after any major storms. In the meantime, you can do your own pre-inspection. Here are seven things to look for when considering a commercial roof replacement. The first thing to look for is signs of obvious damage or deterioration. Over time, humidity severe weather can lead to rust on edge metals. As the rust causes deterioration, it can compromise the structural integrity of your entire roof. 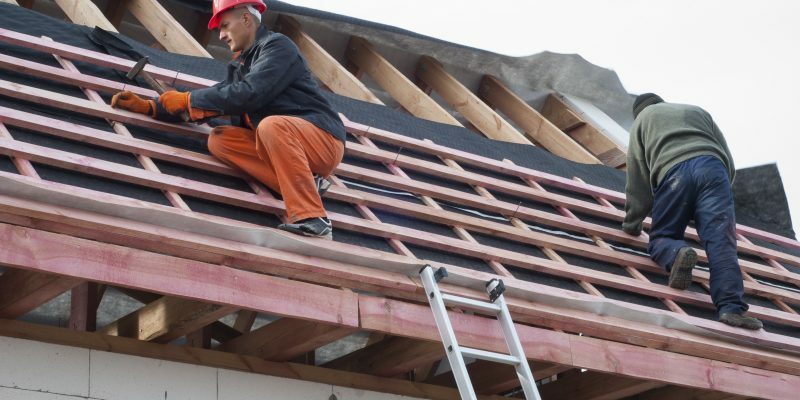 Your roof’s edge is its primary defense during high winds bad weather. It’s vital to keep it in good so you don’t lose it during a storm. If you see any signs of rust, bending, or deterioration, a roofing contractor to repair or replace it. The next most obvious sign your roof needs replacing is if you see any blistering, ridging, or splitting. Look for cracks, blisters, or bubbles on the surface of your roof. This is usually a sign that moisture is trapped between the membrane the deck, or between layers of the membrane. Although blisters don’t always require fixing, large areas of blistering need to be addressed. Left untreated, blisters will accelerate the aging process of your roof. They can also lead to more serious problems like leaks or structural damage. In some cases, the contractors who built your may have used improper materials. Or perhaps you (or someone you hired) did some less-than-adequate repair work. In either case, the wrong materials or repair techniques could come back to haunt you. For example, let’s say the builder used improper fasteners on the edge metal. This means there’s a higher chance of the metal coming loose blowing off in a windstorm. Some contractors commonly use roofer’s nails when they install edge metal. The problem is that these nails don’t have the necessary pull-out resistance to withstand high winds. Not sure what types of materials were used when your was built? Don’t guess — call a roofing expert for a professional evaluation. Depending on the type of roof you have, it may (or may not) receive a lot of foot traffic. The more people walk across your roof, the greater the chance of damaging the membrane. This wear tear can lead to a host of problems, including leaks other water damage. If your roof is metal, it contracts expands in response to the weather. DIY attempts to caulk torn membrane will only cause more damage to your roof. If your roof receives a lot of foot traffic, the best solution is to install a walkway or extra layers of protective membrane. And if you’re uncertain the membrane’s integrity, call a contractor to see if you need a commercial roof replacement. If you’re dealing with water infiltration, this probably means your roof is already compromised. When the membrane stops working as intended, water begins to find ways into your building. Regularly inspect the interior ceilings your roof to prevent water from infiltrating your building. At the very least, you can catch the problem early before it leads to more serious damage. If you see water stains on the ceiling or walls, don’t ignore it. If it’s not a problem with the roof, it could be an issue with a faulty HVAC system. We touched on it before, but we’ll say it again. Your roof may not need replacing as quickly as other parts of your house, but that doesn’t mean it will last forever. If you’ve gotten 25-30 years out of your current roof, you’re lucky. you’re rapidly approaching the when you will need to consider a commercial roof replacement. Even if you find no obvious signs of deterioration (yet), a 30-year old roof is already past its prime. Keep track of its by knowing when the initial installation took place. You should also keep all repair maintenance records on file. A final sign that you may need a commercial roof replacement is the presence of mold or unpleasant smells. If your building is moldy, that means water is getting in somewhere. It could be a breach somewhere in your roofing system. Or the problem could lie in the building’s exterior or the HVAC system. Whatever the case, you must address it immediately. Mold can lead to a host of health problems for you your employees. It can also lead to worse damage expensive repairs to your building. Commercial roofs require long-term maintenance continual repairs. When you know the warning signs to look for, you can identify roof problems early prevent more extensive damage in the future. In many cases, owners don’t inspect the roof until there’s a major ( expensive) problem. Don’t let that happen to you! If you live in upstate South Carolina, we at Davis Contracting would be happy to provide you with a free inspection estimate. Please us today for more information.